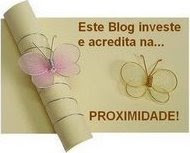 ~ A blog is a personal diary. A daily pulpit. A collaborative space. A political soapbox. A breaking-news outlet. A collection of links. Your own private thoughts. Memos to the world. 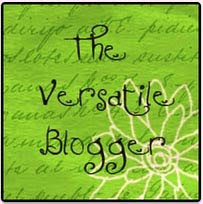 When we[as in most of us:-)] decide to blog, in the beginning it is just for ourselves. A private place where we can let down our hair, write away our frustrations or give free rein to our thoughts. At the most we want our friends and kin to read what we write. As we explore further we realize if we stretched out a hand there is a wonderful world out there ready to receive us with open arms. This is exactly what happened to me. Initially it was just about scribbling down some thoughts and incidents…. maybe the kids would love to know how mama was when she was younger, how the events in her life shaped her life, this way my family & friends who lived far away could be in touch with what was happening with me without me straining to write to everybody individually....u see the gains:-). And then there was the fact that I always was interested in People, their lives, their thoughts…it was but natural to slowly start reaching out to other bloggers who had different viewpoints to share inturn opening up my mind and world. And the rest as they say is history & lets leave it at that[meaning surely you wouldn’t want to waste time reading about it ONCE MORE]. Now, apart from the comments I love receiving I am also ecstatic about the awards I get. 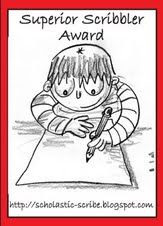 Lot of old-timers[Bloggers I mean] nowadays view these awards with jaundiced eyes & don’t quite believe in them anymore but for me they are all special. In real life I don’t think I ever came first or received awards for anything…no, no thts not true, I did come 1st in 1st standard and 2nd in the Lemon & Spoon race in the 3rd standard. Ok thats it enough introduction, now coming straight to the point I thought I'd spread some cheer at the beginning of the year itself by giving away the lovely awards I received in 2009. First things first, I want to thank my blogger-friends Athivas, Blunt edges, Colourmesunshine, Dil Se, Elegant Chic, Passionate Goof, Indianhomemaker , Lostworld , Nu, Rashworld, Shalom, Shayari, Swaram, Thethoughtfultrain, Titaxy for all these wonderful awards I have displayed below. It gives me great pleasure to give away these awards to deserving bloggers as a token of my appreciation. I know I know I must sound like one of those pompous characters but it’s exactly what I feel……I love receiving awards but more importantly I adore giving them away. Initially I intended to write a few sentences about each blogger I was giving the awards to but gave that idea up half-way as this is a long post and it was taking me ages to just link each one of you. The 1st award is the International Bloggers Community Award!!!! "Be a proud member of the International Bloggers Community! " is their tagline. 5. 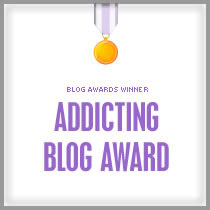 Award this to 7 friends on your Blog list. 6. 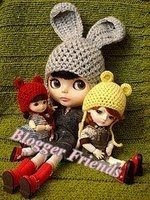 Go to BLoGGiSTa iNFo CoRNeR (PLEASE DO NOT CHANGE THIS LINK) at http://bloggistame.blogspot.com and leave the URL of your Post in order for you/your Blog to be added to the Master List. 1. The person who tagged you: Thethoughtfultrain, the others who tagged me after her are Athivas, GoofyMumma and Shayari. "The Prémio Dardos is given for recognition of cultural, ethical, literary, and personal values transmitted in the form of creative and original writing. These stamps were created with the intention of promoting fraternization between bloggers, a way of showing affection and gratitude for work that adds value to the Web." 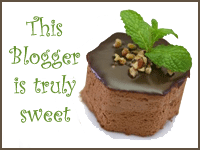 The I Love your Blog Award goes to those bloggers who share information in a fun and interesting way. I enjoy reading whatever they post. Its a pity they dont post more often. The rules that accompany this award are. 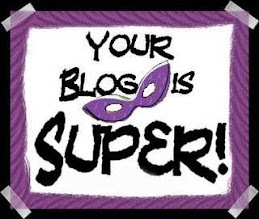 * Each Blogger who wins The Superior Scribbler Award must visit this post and add his/her name to the Mr. Linky List. That way, we'll be able to keep up-to-date on everyone who receives This Prestigious Honor! 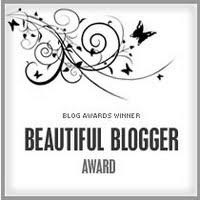 I also want to award this to 3 bloggers who come to my page regularly from Asia-pacific, Holland, Manama-Bahrain, Montego Bay-Jamaica. I’d love it if you’ll introduce urself but if you wish to remain silent I’m fine with that too but please do accept the Award:-)). Dhanya - There is honesty in her writing......and clarity, I love the way she finds joy in everyday matters. Kochu Thressiamma from Parel Tank - A seasoned blogger, who doesnt hesitate to pen what she thinks...and it could about anything from Politics to Michael Jackson to Education to Malayalam Cinema . She's made me cry & then laugh in the very next post. Preethi Shenoy from Just a Motheroftwo - She writes thoughtful, meaningful posts about life. I love visiting her blog and always come away feeling inspired. Shobhaa De - The way her thoughts flow through her fingers is amazing. Her tongue-in-cheek humour & pun-intended posts are my favourite though she can write about anything under the sun and make it sound interesting. 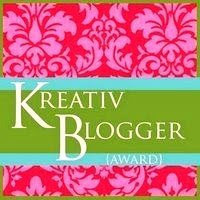 The 'Kreativ Award' goes to all those Bloggers who share their creativity on their blog whether it is in the form of the amazing photographs they shoot or the beautiful Art they create. 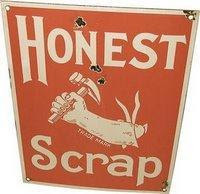 The Honest Scrap Award comes with a tag and is awarded to all those bloggers whose openess shines thru their pages. Tell your readers 10 things about you that they may or may not know, but are true. Tag 10 people with the award, and be sure to let them know they’ve been tagged (a quick comment on their blog will do). Link back to the blogger who tagged you. Tell your readers 7 things about you that they don’t know about u but are true. Tag 7 people with the award, and be sure to let them know they’ve been tagged. Don’t forget to link back to the blogger who tagged you. Thats it folks!!!! Being slower than most people, it took me more than a week to put this together. I fervently hope I have mentioned everybody I know in the blog-world, if u dont see ur name please know that it was a genuine error. If u'll let just gimme a teeny-weeny hint I'll award u this Wonderfullest, Bestest Award that I have stashed away inside just for this purpose. And not the least, CONGRATULATIONS everybody and a BIG Thank U to all of you for your amazing blogs and all the lovely comments + motivation this past year. I appreciate you all more than U'll ever know. 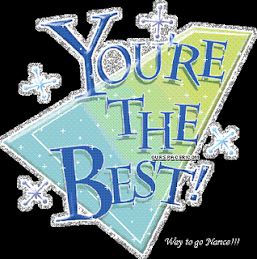 p.s: I'm going to start off here to all ur blogs to let u know that u've been awarded. 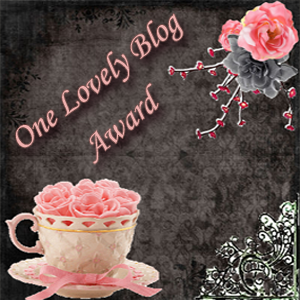 Incase u reach this space before I reach ur blog, please claim ur Award and make it easy for me:-)). I just thot u are going to tag me, when I read the previous post - Bingo !!! Thats what you did !!! Thank u so much for the award !! Appreciate it so much !!! Now, to do the tag - put on your thinking cap, Uma !!!! Come on, Nancy has done it - You can do it, too !!!! Hey !!! Thanks again !!! Feels so gud. heyyyyyyyy thankssssssssss.... u made my dayyyy!! thank you!!!! I am going to read the rules for the award and do it. I dont know, but somehow I dont feel like doling out them, whenevr I get some genuine comments,my day is made, and I dont know how to say it....Bur neither I cant be partial, and being impartial sometimes sounds rude. wow.. Nancy.. you made my day.. 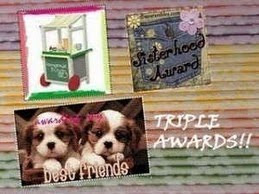 Thank you very much for your award.. this is my first award since i started blogging..
Congratulations, Nancy, on all your awards! And thanks so much for mine too :) You certainly spread the cheer! Hope you had a good start to the new year and hope that you have a great year ahead! thank you so much for the award. Honored. Thanks much for the award. I appreciate it and I am honored. Nancy, thanks for giving me the honest tag. Thanks for the award and once again Happy New Year on the blog. but most of all what I want to say is... hats off girl!! congrats to you on receiving all the awards :) you deserve all this and more! Honestly by the time I reached to half of your post a huge lump was developing in my throat. Na I was not getting mushy at you spreading cheers. I was cursing myself thinking you have disowned me from your list because I didn't visit your last posts...sobs!!! Nancy, tumne bulaya aur hum chale aaye. Award pick karne aayeeeeeee. Danke for the wonderful award you bestowed on moi. Nandi, Nandri, Dhanyavaad, Thank you. Wish you a very Happy 2010! What a way to start the year! Congratulations on all the awards,Nance! You deserve every bit of it and more. And thank you ever so much for passing an award to me too. Truly honored! I still remember the first time I stumbled upon your blog in Nov2008 when I read your post on commentophobia. You had me hooked to your page and from then on I used to look forward to your posts eagerly.Your posts are always so engaging! Congratulations and Thank You Nancy :) Honoured!! Happy New Year! And congratulations on all your awards. Hey, that's a lovely lovely post to begin the New Year. Thanks so much for the award. Our only request. Blog a little more often. When you go away for a little while, the blogosphere becomes a little down ; your charm and cheer are hugely important for all of us. Warm wishes for a wonderful 2010. WOW! Happy New Year Nancy. You had such a beautiful start to this post, and I can see how patiently and painstakingly you have done this, with all the links in place. You deserve all of them and more! Thanks so much for my bit, you are a completely sweetheart. Thanks for the award! I will do the needful soon. More than the award, what you did here was open up a new world of people for me! I love looking at other people's blogs, but I don't know how to search for them. So thanks for throwing the doors open. Sadly, the more blogs I read, the more I see that people don't reveal who they are...maybe I am different, maybe I should change too. Let's see. I landed here before you could come around & I am so touched you thought of me for an award. Very honoured too! :-)I think this is one of the nicest posts ever written to give away awards!! No wonder you have so many awards. Thanks a million Nancy. Thanks for this wonderful Award I am Honored Will Soon Accept it. Cheers!! Thanks a lot for the Award. Its an encouragement for a beginner like me. Will Accept your award soon!!!! Ums: U have taken over from Savitha now;-D.
And oh dont mention it;-D!!! Anjuli: My pleasure!!! And take ur time;-D!!! Smitha: Thank U, and it was my pleasure awarding u. Wishing U a wonderful year too!!!! Swaram: "So, my blog is sooper-aa" . BlueMist: Dont mention it. My pleasure entirely:-))!!!! Hah gr8 minds think alike dont they;-D!!! Balvinder Singh: Sirjee please dont mention it...it was but just a small token of my appreciation for ur blog:-). Indyeah: Boooohooohoo, I am just so pathetically gratified that somebody recognised the mammoth effort it took to place all these links on one page and in aphabetical order to boot;-P.
Thank U Indyeah U r very kind. It was a pleasure awarding u:-))!!! What a great way to kick off 2010! Thanks Nancy. It is an honor. Love the cute little pic. The full post.. Only you can pull it off so well. Congratulations to you for receiving all these great awards. Well deserved. Congrats to you too and there is so many blogs to read...thanks to u. And I love the quote by the unknown blogger! You did it again!!! Beautiful post Nancy. Very personalised and always a treat to read. It is my pleasure entirely:-))!!! Deeps: U r welcome...it was my pleasure!!! Such a beautiful comment...Thank U so much for these lovely words tho I think u are too kind, really;-). Indian Homemaker: Dont mention it...my pleasure all the way:-)!!!! And the quote, i loved it too....there was something in it for everyone;-). Agnes: U r incredible really;-D!!! Ramesh: Awww...thank U so much for the lovely wishes!!! I too want to but I'm a woman with great responsibilities....incharge of 2 tiny dynamos who take all my time;-P. But hoping to be more constant in the blog-world this year:-)!!! Passionate Goof: Seriously I was at it for almost 2-3 weeks. Blogger was giving me so much trouble that I was actually contemplating switching to WP;-o....but in the end I'm so thankful it went off good;-o.
Nilu: "the more blogs I read, the more I see that people don't reveal who they are..."
People blog for different reasons but most do mainly to vent out their feelings freely. If they blogged under their right name they can never do tht. And not the least one can never be too careful coz blogger unlike FB[where we can choose who u want to include in ur list]is a place where all types of people[read weirdos too] walk in & read u. U never can be sure how it will affect u. On the postive side, once we get friendly we exchange mail ids & communicate that way:-). Lostworld: Glad u liked urs:-)!!! U always write sensitive comments[I'm not talking abt just this comment:-)] and I mean it in the nicest possible way. Thank U!!!!! Nu: The pleasure is entirely mine & take ur time:-))!!! Tanushree Pillai: I havent forgotten the thrill of receiving my 1st award;-). 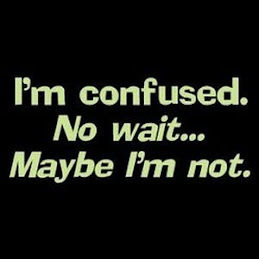 And there's no hurry, take ur time:-))!!! Lan: I did go thru a few nerve-racking moments putting this together;-o. Thank U for the lovely comment:-))!!! And I know exactly what u mean:-)!! An Open Book: First copy and save it in ur hard disk. Divya: Thank U dear girl...u did notice I awarded u right, even though u dont have a blog;-D??? Waiting for u to start one!!! 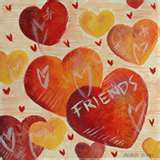 Nancy: Loved your style of starting the new year and spreading so much cheer among your friends. Thank you so much for mentioning me and the award too.Can't tell you how much I am in love with the blog world and all the wonderful friends I have met here. and I have to tell you this: On my recent trip to India, one of my relatives invited us to visit Behrain on our next trip and they were telling all about the other good places in mid East and all I was thinking was "Wow !! May be I can meet Nancy there too :-)"
They say:"If you do one good thing for someone else, it will comeback as a good thing for you too." I wish all the cheer that you sent along so many people comes back to you and you have a wonderful year ahead. WOW! SUPERSTAR! HONOURED.A MILLION THANKS! by the way, lovely lovely post. 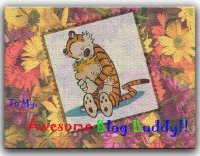 thanks nancy :) thts very motivating tht someone wants me to blog again ..i almost lost it :) will def write soon! What an appropriate post to comment on! God bless your kind soul... trying to spread cheer... !!!! but what is this... just one award for me ????????? you gotta be kidding me... this is an IN-SULAT !!!!!! 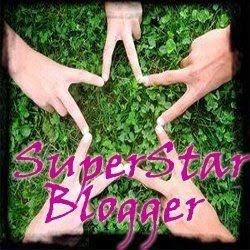 The biggest SUPer STAR of blogging gets just one award....... !!!!!!! Bahut Na insafi hai !!!!!!!! Ha ha ha ha he he he he ho ho ho.... Oh my god Oh my go Oh my god. I am just jumping in joy. Am superrrrr elated. U gave me my first tag and u are now giving me my first award here. What can I say?? 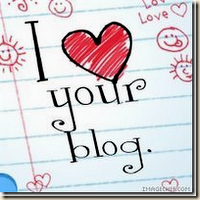 Am on cloud nine to hear that "You love my blog". Well u have made my year. Thank u so very much Nancy. Let me tell u a secret, Before I took a sneak peek before reading the whole post to see if my name is some where. And when I did find my name, I had a silly smile plastered on my face for a long long time... Thanks a ton. I may not be a award or a tag person but you've absolutely no idea how thrilled I am to received the award that you bestowed on me. I know awards are nothing new to you...you've received plenty! But this is my first time giving away...and I wanted to share the joy with you! Thanks for inspiring me to do it. Make sure you collect your award & enjoy! wow!! that was an awesome list!! :) thanks for the recognition. feels great! and yes as someone else had mentioned would love to go thru the list and visit them one by one. am sure they being your regulars would definitely strike a chord with us too!! thanks again! and this post must have taken ages to write what with all the linking and what not..
and happy new year..hear that there was some great firework display near the burj on new year's eve? Thank You for the wonderful award. "I cant even pronounce the award name ;)Really appreciate it ! Hi Nancy, Thanks a ton!! Thats my first ever award!! so it is so sentimental.. i will always remember your kindness, thanks.. err,, kuch jyada ho gaya kya...;) thanks once again. Nance. Hi Nancy, Thank you, thank you,once again.. I am just loving this award adorning my blog.. thank you . take care,rekha. Dil Se: Thank U so much for wonderful & kind words:-)!!!! And do let me know if u come to this part of the world...I'd love to meet u;-D.
Brocasarea: My pleasure. Take ur time!!! KPJ: Dont mention it, it was my pleasure awarding u:-))!!!! Former Sansmerci: Just start off & the rest will take care of itself. Making the time & taking the effort is the important thing:-)!!!! Pixie: Thank U so much for the lovely words!!! It was a pleasure awarding u Sadiya!!! Anusha: I'm glad u like it...I too love it when I give out the first awards;-D.
Divya: U can....ofcourse u can. Take the new year as the perfect time....first thing, think of a good name for ur blog. Everything will fall into place. Just start off!!!!! Writerzblock: Oh yes linking everybody was quite a daunting task....there were several nerve-racking moments....thank goodness it all worked out. Thanks for the pat on the back;-D.
Shalom: Oh yes it was. Dont mention it, the pleasure is all mine. And thank U:-))!!! Rakesh: It was mammoth task....at one point blogger was reeling under the pressure of all the links it refused to save the document...I dont ever think I can do this again. Snow: Thank U....and dont mention it, we go back a looong wayyy. Glad u like ur award:-))!!! And dont mention it...my pleasure all the way!!! Suma: Glad u liked it:-))!!! Sulo Badri: Yes I have to agree with u....comments do mean a lot:-)). Passionate Goof: That was quick;-D!!! Wowiee! Kreativ and all that ;) Mes likes! Hey Nancy, this first award - International Bloggers one, am I the 'Lostworld' who awarded you that? B'cos I haven't received that from anyone as far as I know! I noticed this last week too but by the time I reached the end of your post, I was happy with my award & all was forgotten !!! Just wanted you to know that if I comment so rarely, it's mainly because you have already given words to my thoughts, leaving me with nothing much to say except perhaps 'I feel the same way'!! Thanks for the award Nancy! Will do the tag soon..
And yes..congrats for all the awards u received. SandhyaS: Dont mention it!!! And happy and fruitful job-hunting:-)!!! PujaThakur: Hey its ok. I know exactly what u mean. Hope u like the award:-)!!! Mystery: Dont mention it!!! Thank U!!! And take ur time:-)!!! Dhanya: I'm glad u like it:-))!!! I love ur blog too:-D!!! Doli: It was my pleasure;-))!!! a. 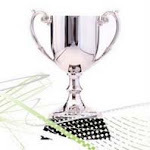 Display the award in a post with details of who awarded it to u.
b. Then u award it to other bloggers who u think deserve it[ ie. if there are no specific rules accompanying the award]. c. Display it on the sidebar of ur blog. Wish you a lovely 2010!! It was quite some time since I visited your blog.Of course I follow you, but just couldn't bring myself to read the blog. Finally, today I came here and what do I see?? An Award!! for me!! Oh!My, I missed it in time. Thank you so much for the award. I remember doing my 100th blog elsewhere with sooooooo many links and the time taken. But at the end of the day,for sure you are happy to spread the happiness around. I have marked this post of yours in my favorite. I need not bloghop you see. Cool_Moon: I was wondering how to let u know:-). Nope not at all juvenile....just glad u like it;-)). Maddy: "at the end of the day,for sure you are happy to spread the happiness around." Yes exactly!!! And it was a pleasure awarding u:-)!!!! Preethi Shenoy: Dont mention it, the pleasure was all mine:-))!!!! Heyyy...thanks a lot for the award..
i ws in a crap shape..so couldn't respond back..anyways thanks again.. Finally acknowledging the award...thank you so much! Sorry I have not visited earlier...I was into a ton of work and did not have time to blog for quite some time. I have put up a new post. Please do read when you have time! Thanks once again! !